In response to continued calls for the opening up of equity capital markets in Qatar, the Qatari government has recently explored new frontiers for foreign investments into listed public companies by putting into place a significant amendment to the applicable law. The equity capital market in Qatar is regulated by the Qatar Financial Markets Authority, and the Qatar Exchange provides the main board for listed companies as well as a parallel market for SMEs (Small & Medium Enterprises). One significant barrier for foreign investment into such markets in Qatar was the restriction set down by the Foreign Capital Investment- Law (Law 13 of 2000) which provided that non-Qatari investors may hold no more than 25% of the shares of joint stock companies listed on the Qatar Exchange, unless the memorandum and articles of association of such companies provides for a greater percentage. Furthermore, apart from being required to be specified in the memorandum and articles of association, the same needed to be approved by a decision of the Council of Ministers (on the proposal of the Minister of Economy and Commerce), a process that has not been considered desirable by most public companies. Accordingly, the perception is such that the aforementioned provision of the Foreign Capital Investment Law has negatively impacted upon foreign investment into the equity capital markets in Qatar and could well be an explanation for the low levels of IPO activity on the Qatar Exchange. An amendment to the Foreign Capital Investment Law has been put into place by virtue of Law (9) of 2014 issued on 26 July 2014 and purporting to come into immediate force. 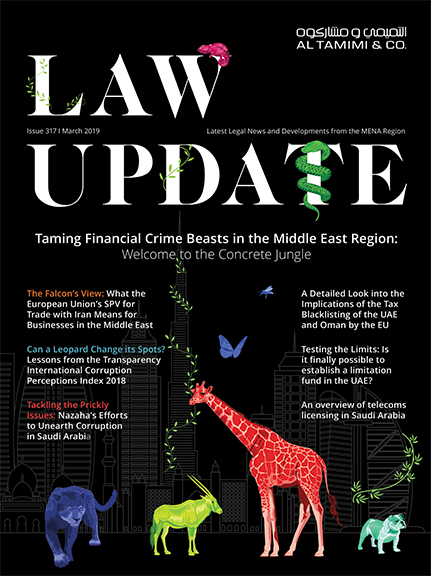 The nature of the amendment has brought listed companies in line with other investments into Qatar in allowing foreign ownership to increase to 49% of capital. The amendment specifically provides that non-Qatari investors are now permitted to own no more than 49% of the shares of Qatari shareholding (joint stock) companies listed on the Qatar Exchange. The ability to increase above that 49% amount by virtue of a decision of the Council of Ministers on the proposal of the Minister of Economy and Commerce remains in place. However, one point that needs to be tested in practice is a slight difference in the wording of the amendment (as opposed to the original provision) that requires the Ministry of Economy and Commerce to approve articles of association for companies contemplating up to 49% foreign ownership, which arguably comprises an explicit discretion given to the Ministry. It is hoped the Ministry uses this discretion as part of its usual process of approving any articles of association for any company in Qatar rather than taking a wider view of the extent of the discretion so as to vet levels of foreign ownership as well. Once applications are lodged with the Ministry, this will quickly become apparent. Furthermore, the amendment stipulates that GCC nationals are to be treated as Qatari citizens in the ownership of shares in such listed entities. Subject to matters that may arise in practice, the amendment can be characterised as a breakthrough in terms of attracting liquidity from foreign and/or GCC investors who will be in a position to commit more to the Qatar markets by allowing them a much more significant level of ownership and control of enterprises listed on the Qatar Exchange.